Ships Within: 3-4 Business Days Need Your Item Sooner? 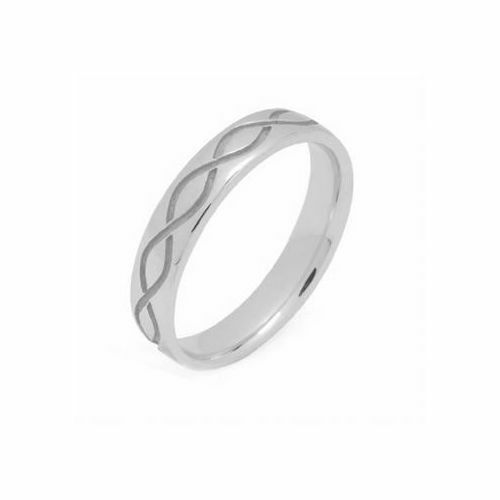 This 14k Gold Celtic Wedding Band is 4mm wide and approximately 2mm thick, and is rounded on the inside, creating a comfort fit for constant wear that still slides easily on and off of the finger. 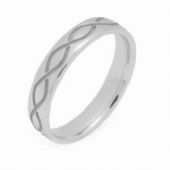 This beautiful Celtic Wedding Band features a beautiful twist design inset in a plain band, all in white gold. 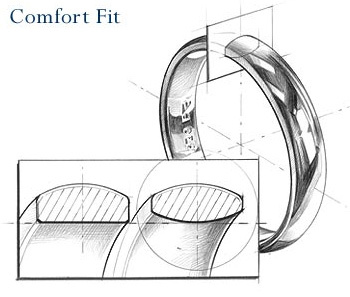 Whether you choose from our Celtic Rings or one of our more traditional bands, you can be sure that all of our products are manufactured by the hands of one of our skilled craftsmen in our on-site manufacturing facility located in the Diamond District of New York City, right here in the USA.